The world’s richest nations must toughen their laws against money laundering, tax havens and tax evasion if a global drive against corruption and illicit finance is to deliver results, senior African diplomats said on Thursday. “There are two sides to this coin. If there were no facilitators on their side, the miscreants on our side would not have succour,” said Liberia’s Foreign Minister Augustine Kpehe Ngafuan in an interview. “The G7 needs to walk the talk on this and deal with tax havens and opportunities created on their side of the divide that make it possible for those on the other side to loot the continent,” he said. The United States and African nations agreed at their summit this week to set up a high-level working group to develop a plan of action to address the losses suffered by the African continent from illicit financial flows and corruption. Money leaving the continent from crime, corruption and other illicit means outstrips the amount of foreign development aid to Africa, causing mounting concern amongst African leaders who raise the issue with increasing frequency at international meetings. 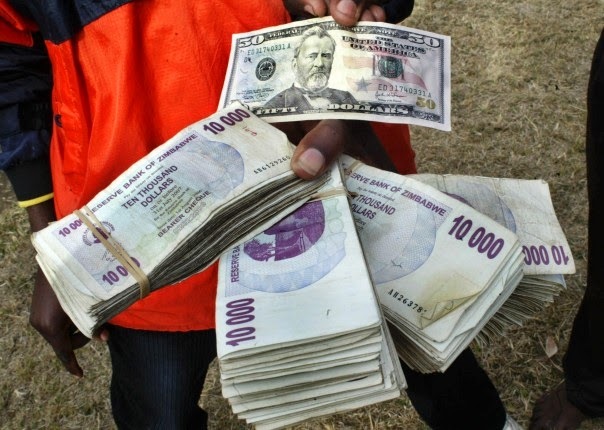 Global Financial Integrity, a Washington-based research group, estimates that Africa lost $55.6 billion each year in the decade that ended 2011, the latest period for which data was available, with outflows from Sub-Saharan Africa growing at the rate of 20 percent annually. “Illicit financial flows are by far the most damaging economic problem facing Africa. By announcing the creation of the U.S.-Africa Partnership to Combat Illicit Finance, President Obama and African leaders have taken the first step towards tackling the most pernicious global development challenge of our time,” said GFI President Raymond Baker in a statement. No details were immediately available regarding who would lead the new U.S.-African effort or how its work would be structured. The Group of Seven leading industrial nations, as part of a drive against dirty money and terrorist financing, already has committed to share tax information and develop registries of shell companies, which are frequently used to hide the transfer of illicit funds. Also under scrutiny are multinational corporations that use complex structures to reduce their profits in certain countries and lower their tax burdens. Sierra Leone’s Foreign Minister Samura Kamara said in a separate interview that sometimes multinationals will form subsidiaries in joint partnership with governments and then load the subsidiary with debt, reducing any dividends the government had expected to receive. “The tax structures used by multinationals must be addressed,” he said, calling for greater transparency, particularly in the extractive industries. One issue discussed at the summit was providing developing countries with expert technical assistance to negotiate fair contracts on oil, gas and mining with multinationals who seek to exploit the natural resources in their countries. Jubilee USA Network, a coalition of religious groups fighting poverty, called the U.S.-Africa summit’s initiative to address illicit flows and corporate tax avoidance a step in the right direction. "We know the problem, we know how to track it, and we even know how to stop it. The working group needs to implement tracking and enforcement measures sooner than later. The drain on Africa's resources is incredible," said Eric LeCompte, Jubilee USA’s executive director.